The fifth largest television producer in the world, Sony is considered a leader in the electronics business. They are a Japanese corporation founded in 1946 by Masaru Ibuka in Tokyo. Since then, the company has grown into a worldwide giant and maintains an incredible reputation among electronic zealots. Sony is in the market with televisions, cell phones, and tablets to name just a few of their products. Even if your tablet is locked to a carrier, that is not a problem. Below is a list of the most common carriers and, in addition, the site has an 'other' button to categorize the rest of the service providers. When you are ready to sell your used Sony tablets, BankMyCell is where you'll want to go. 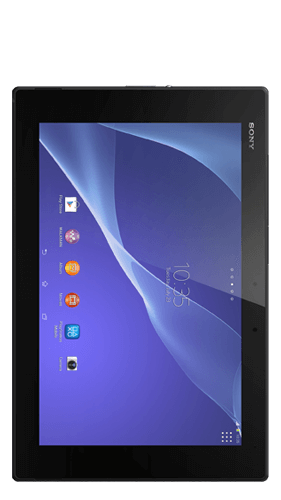 At BankMyCell, you'll find a great platform for selling your Sony tablet. We can even do a market analysis for you before you list your product. The pricing technology is quick and effortless. Sell Your Broken Sony Cell Phone? Don't think you'll be able to sell a busted tablet? Think again. BankMyCell can handle that situation as well. There are buyers who look specifically for damaged devices. You may not get a full price return on it, but that goes without saying. It is easy to list your tablet as damaged, you simply select this option on the menu under the 'Condition' category. If you are getting ready to sell your popular Sony tablet, be sure to check out the easy process at BankMyCell for a quick and flawless selling experience.